It is not surprising in today’s age where technology and computer graphics are so abound, that kids who go to school are exposed to the need of playing games on the computer or on a gaming console. Children from different parts of the world are addicted to their gaming time and this is a cause for concern to many parents. Parents on the other hand are addicted to games that they play on Facebook or on their digital tablets. The games that parents play are a lot more strategic and simple yet complex in the way of thinking. Parents often wonder how they can get their kids involved in more strategic games that will help in developing their minds rather than getting involved in games that have forbidden content. The answer to every parent’s concern is the FRIV gaming website. This website is filled with games that are for any age group and involve a lot of strategic thinking and are simple. FRIV gaming is not just for kids but also for adults who love to play games like candy crush or Sims on the phones and tablets. The FRIV gaming website is very beautifully developed to provide users with an easy way to find the games that would appeal to them. Boys who like their sport oriented games will be glad to find many games that will kindle their interest. FRIV gaming is very affordable and for anyone who wants to be able to enjoy a game without having to invest in expensive consoles. The thing about FRIV gaming is that all the games are free on the website and it is available for anyone even without a membership. Consoles on the other hand are expensive to get in the first place. After buying the console the expenses do not stop there. Every game that you purchase to play on the console is very expensive and can sure burn a hole in the pocket. What’s worse is the expenses again don’t end there. The consoles that are available these days need Internet connections to be able to network with other users around the world to play. This can be quite an inconvenience for parents and kids who get exposed to all the wrong reasons to spend money. FRIV gaming on the other hand is great for anyone. The basic requirement is a computer, which is something that everyone has these days. A basic Internet connection is also required to be able to play on the FRIV games website. 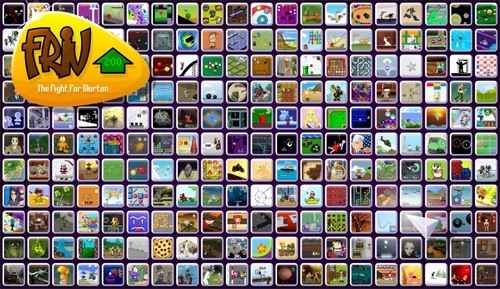 What’s more is that all the games that are available on FRIV are free and flash games. So there is no need for additional graphic cards or other add-ons to play a game on FRIV. There is also no need to buy additional gadgets to play the games. Flash players are available on every Internet browser these days. Web browsers that do not have a flash player will be prompted to get one from free from the adobe website when a flash game loads. Facebook Finally Allows You to Edit Posts On Android – Coming to iOS Soon!